This recipe for Azifa is adapted from the book Exotic Ethiopian Cooking. While most online recipes serve it as a lentil salad, it’s described in the book as “pureed green lentils harmoniously blended with spices.” In the US, it’s common to serve cold bean or lentil salads, but they’re never pureed, so I imagine that it’s an adaptation to our culture rather than the tradition. Azifa is served cold, as we would serve a bean salad, so that helps to explain the Americanization. 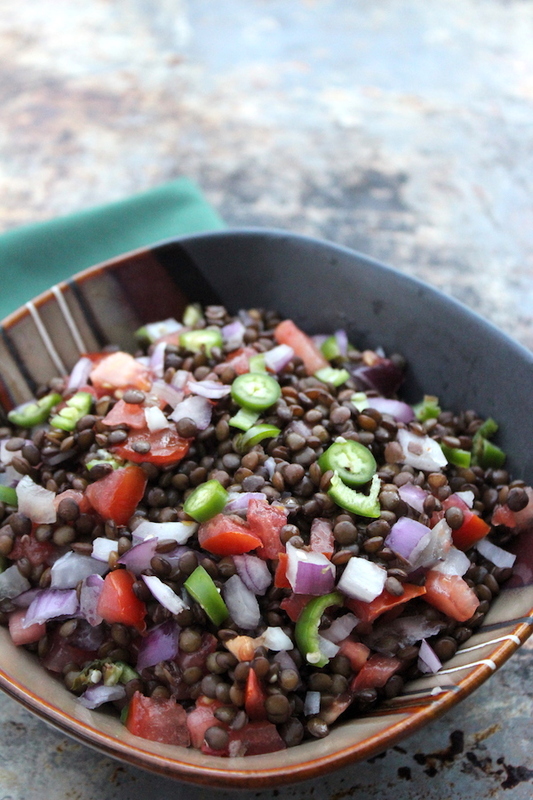 Since I cannot find another source that says to puree the lentils, I’m going to go with my preference and serve it as a lentil salad. If you do choose to serve it pureed, just mash the lentils after cooking and then mix in the remaining ingredients. 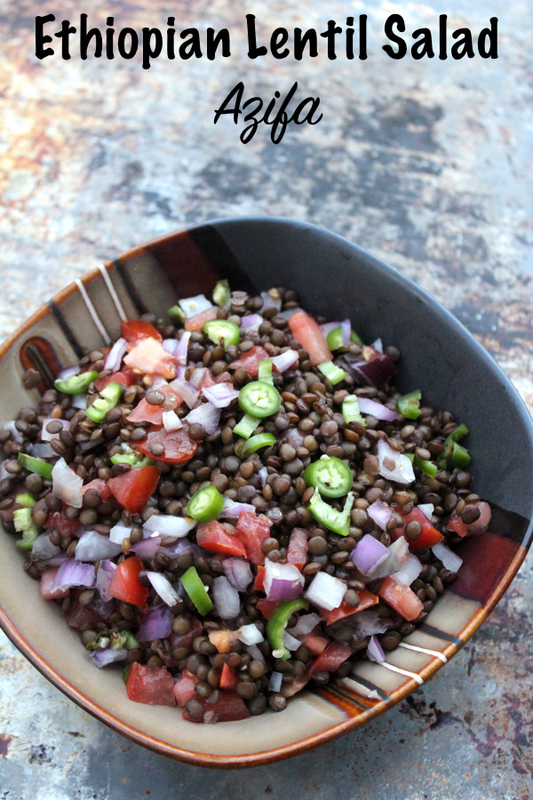 Since it’s completely vegetarian, Azifa is served during lent as an easy snack with injera, or as the book says “with lettuce and tomatoes and cottage cheese for a light snack.” Choose mild chili peppers for just a bit of heat, or go with hot peppers if that’s your preference. Simmer lentils in 2 1/2 cups water for about 25 minutes, until tender but not mushy. Mix in chopped chili peppers, onions, spices, lime juice, and oil. Refrigerate for a few hours to allow the flavors to marry, and serve cold.